Rihanna will release album when she ‘believes in it’! …she’s holding off on the release of her next album! I’ve been hearing the reports that RiRi’s 8th studio album is going to be different than what we’ve ever heard before, but now I’m hearing that she’s not certain on the album title or release date yet! Her album should be wonderful considering that she’s working with some top collaborators…famous DJs and just this last week she was seen leaving a recording studio with Drake! What a gorgeous music video, by the way! So now comes the wait of all waits! Rihanna keeps describing her new sound as her take on creating ‘timeless music’ that is experimental and pleasantly undefined. I love Rihanna as you may have guessed and as a proud member of her fan group, Rihanna Navy, I know that her songs over the years that were experimental (“Disturbia”, “Diamonds”, “Where Have You Been”, and “FourFiveSeconds” among many others) were some of my absolute favorites! If her latest single “American Oxygen” is any indicator of how her new album is going to sound…boy, is it gonna be good!!! Last Sunday (May 17th), Rihanna herself has a Twitter convo with a fan in which she revealed that she won’t release the album ’til I believe in it’! 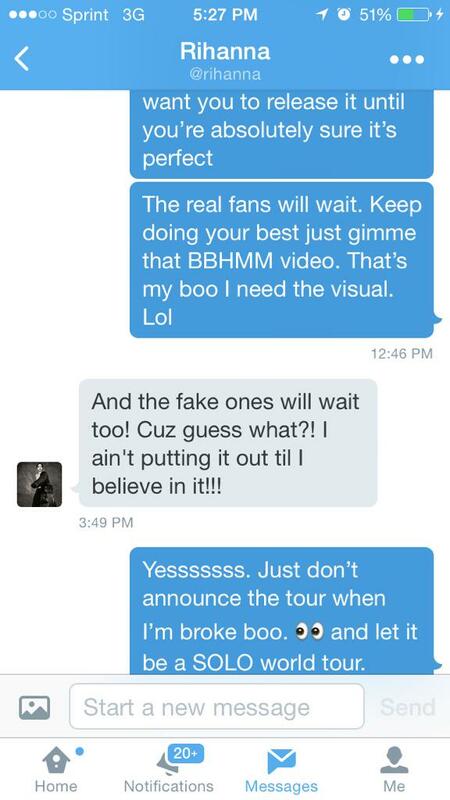 I love that she direct messages her fans back! OMG!!! At any rate, I cannot wait to her Rihanna’s new album! I so enjoyed the last one and I’ve been a big fan of hers for so long! Congrats Rihanna on your new album & let us hear it when you’re ready! Beatport wants to become the home of EDM! Carrie Underwood will perform during CMA Fest!